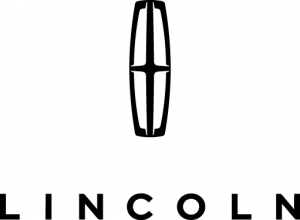 **THIS VEHICLE IS LINCOLN CERTIFIED!!! 200 PT INSPECTION ALONG WITH A 6 YR OR 100,000 MILE WARRANTY, **One OWNER - LOCAL TRADE-IN - CLEAN AUTOCHECK**, **SUNROOF/MOONROOF**, **BACKUP CAMERA**, **HEATED LEATHER SEATING**, **REMOTE START**, **New TIRES**, **SYNC® HANDSFREE CALLING**.Odometer is 3307 miles below market average! 22/33 City/Highway MPGAwards:* JD Power Initial Quality Study (IQS) ***Get your Key at Reineke*** This Vehicle Has Been Serviced And Safety Checked For Your Peace Of Mind * Call 1-800-643-7460 To Get This Great Internet Price * Another option is clicking the "Chat for instant answers" link and a salesperson will answer your questions during regular business hours. At Tiffin ford Lincoln We Offer Market Based Pricing so please call to check on the availability of this vehicle. "We'll buy your vehicle, even if you don't buy ours" -Brandon We are committed to getting you financed at the best rates available. We carry all makes and models and have vehicles in all different colors, Black, Red, White, Brown, Blue, Tan, Green, Yellow, Gold, Burgundy, Silver and Charcoal. We also carry Acura, Audi, BMW, Buick, Cadillac, Chevrolet, Chrysler, Dodge, Fiat, Ford, GMC, Honda, Hummer, Hyundai, INFINITI, Jaguar, Jeep, Kia, Land Rover, Lexus, Lincoln, Maserati, Mazda, Mercedes-Benz, Mini, Porsche, RAM, Scion, Subaru, Tesla, Toyota, Volkswagen, and Volvo's. Our Preowned Vehicles could have an Automatic or Manual Transmission, Heated Seats, Power Windows, Backup Camera, Keyless Entry, Premium Audio, Bluetooth®, Hands Free, Leather Seats, Premium Wheels, CD Player, Multi-Zone Climate Control, Security System, Cruise Control, Navigation, Steering Wheel Controls, Disability Equipped, Portable Audio Connection, Sunroof, DVD Player, Power Locks, Trailer Hitch, 3rd Row Seats, 2nd Row Bucket Seating, Multiple Airbags, No Accidents, Dual Power Seats, Heated Leather Seating, Illuminated Entry, Power Moonroof, New Battery, New Tires, New Brakes, Non-Smoker Interior, 30+ MPG, One Owner Carfax Certified, Paddle Shifters, Premium Cloth Seating, Premium Sound System, 3rd Row Seating, Rear Back-Up Sensors, Rear Bucket Seats, Remote Keyless Entry, Remote Start, Service Records Available, Steering Wheel Controls, Tow Package, Traction Control, USB Ports, XM Radio Power Heated Mirrors, Heated Seats, and much more!